• permanent loads (minimum dead loads in particular). • variable loads (live loads, wind and hail). • loads or accelerations due to moving vehicles, explosion, sinking foundations and others due to natural phenomena. This chapter presents criteria and minimum requirements for the design and construction of structures of unreinforced masonry, reinforced masonry and confined masonry, up to 4 floors. 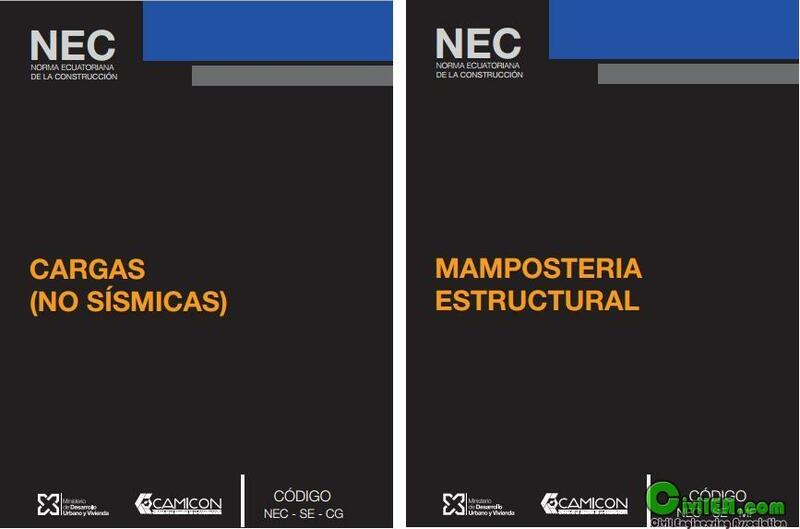 The requirements of this chapter are aimed at achieving an appropriate behavior of structural masonry buildings in low load conditions defined in the NEC-GCSE. Structures able to withstand all expected internal stresses (compression, tension, bending, torsion, etc. and combinations thereof), to deform and move permissible way to design. Units: units will be used S.I. according to ISO 1000 Standard. • reinforced concrete structural walls. International system of units (SI) according to the ISO 1000 standard are used. These provisions consider that steel structures will be designed, manufactured and assembled using hot rolled profiles or armed assembled by means of welded plates. These provisions shall apply where the reduction coefficient of seismic response R, specified in the NEC-SE-DS of these standards is greater than 3. The structural steel systems designed to higher-R 3 is expected to dissipate energy from movements design ground through inelastic deformations of the structure. 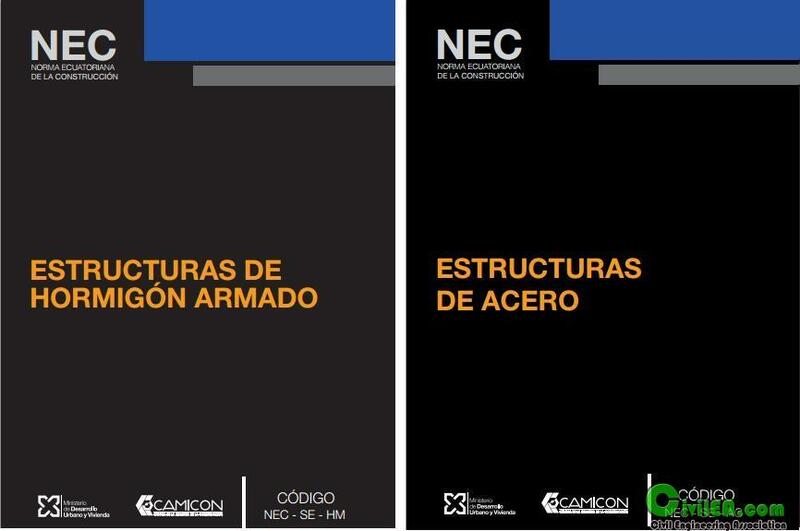 For those cases where the rate of reduction of seismic response, R, is equal to or less than 3, no need to meet the requirements in these provisions, except for special systems of columns projecting where it must meet the requirements included in these systems. The provisions in this chapter are based on the provisions presented in the ANSI / AISC 341-05 documents, ANSI / AISC 341-10 (Seismic Provisions for Structural Steel Buildings), 358-05 (prequalified Connections for Special and Intermediate Steel Moment Frames for Seismic Applications) and FEMA 350 Recommended Seismic Design Criteria for New Steel Moment Frame Buildings). These documents reflect the most current relative to the seismic performance of structural steel buildings in the United States knowledge. Specifications and codes referenced in these provisions shall be those listed in Section A2 of the ANSI / AISC 360-10.